In 1993, Croft and Pringle developed a grading scale that utilized sleep endoscopy to categorize snoring and obstruction. Grading was based on whether the obstruction was palatal, multilevel, or tongue-based. Sleep endoscopy, in combination with the grading scale, allows the physician to directly observe pharyngeal structures in the sedated patient with OSA and categorize the obstruction. Another grading system that uses sleep endoscopy to assess airway obstruction utilizes 3 separate evaluations of the pharynx. The first analysis uses a dichotomous assessment to identify individual areas of obstruction in the palate and hypopharynx regions. The second analysis assesses the percentage of obstruction in each area: less than 50%, 50-75%, and more than 75%, representing mild, moderate, and severe obstruction, respectively. Based on the level and pattern of airway obstruction in a patient with OSA, sleep endoscopy allows the physician to tailor the treatment plan to each patient. This can improve the results of surgical intervention and/or minimize the scope of intervention. Sleep endoscopy may also provide information that erases the need for surgery altogether. The high success rate of customized treatment for OSA has been attributed to the targeted selection offered by sleep endoscopy. The multimedia clip below shows typical findings seen on routine DISE. Compilation of sleep endoscopy findings. Video courtesy of Philip E Zapanta, MD. Otolaryngologists use numerous modalities to locate the site of snore-sound generation and obstructive locations. These tools include a complete head-and-neck exam, the Müller maneuver, lateral radiographic cephalometry, computed tomography (CT) scanning, and magnetic resonance imaging (MRI). The static nature of these exams, coupled with increased resting muscle tone while the patient is awake, makes pinpointing the source of true obstruction difficult. While each of these methods offers reasonable diagnostic efficacy, none offers direct and dynamic visualization of pharyngeal structures during sleep. Any patient who has documented OSA and is a potential candidate for OSA surgery should be considered for DISE via propofol. This dynamic exam will study the patient’s real-time OSA under light sedation, complementing the complete head-and-neck exam and (utilizing the Müller maneuver) awake endoscopy. Absolute contraindications include patients who are pregnant or who have a known history of propofol allergy. Other contraindications are significant nasal obstruction that impedes passage of the flexible fiberoptic laryngoscope (FFL), an “unsafe” airway, a frank aspiration history, and allergies to propofol components such as egg lecithin or soybean oil. Due to the subjective nature of evaluating airway collapse during sedation, the question of sleep endoscopy’s reliability is a concern. This same study demonstrated a higher interrater reliability for assessment of the palatal region for obstruction in general versus assessment of individual structures that cause obstruction in the palatal region. The authors stated that the lower reliability in assessing individual structures is less important in palatal obstruction, because traditional uvulopalatopharyngoplasty (UPPP) treatment is the same regardless of the structure involved, be it the soft palate or velopharynx lateral pharyngeal wall. Kezirian et al's study also mentions that the tongue, epiglottis and lateral pharyngeal walls are the 3 structures most commonly involved in obstruction in the hypopharynx. At this site, there is a moderate to substantial interrater reliability in assessing individual hypopharyngeal structures that cause obstruction. Because there are varying treatment options for the different structures that are involved, sleep endoscopy can help to determine which hypopharyngeal and oropharyngeal procedure will be the most efficacious. Intraprocedural grading using any of the methods described above typically correlates well with results of AHI, and it has been shown that AHIs measured after targeted therapy directed by sleep endoscopy are significantly lower. Sleep endoscopy is a great tool for teaching others about airway management, and it is helpful for anesthesiology and otolaryngology residents who are learning about airway anatomy and physiology. For more information about the relevant anatomy, see Throat Anatomy. Also see Mouth Anatomy, Nasal Anatomy, and Pharynx Anatomy. The most important task for the surgeon is communication. First, the surgeon needs to discuss the goals of the obstructive sleep apnea surgery with the patient. Will the proposed OSA surgery be for cure or for palliation? Second, the surgeon needs to communicate the idea of sleep endoscopy and how it will be applied. Third, the surgeon needs to communicate with the anesthesia team. It is ideal to have a preferred anesthesiologist who understands the goal of DISE. Snoring that leads to witnessed obstructive sleep apnea is the goal of DISE, and the anesthesiologist must not be afraid of obstructive events on the table. Desaturations are expected and should be tolerated within reason. It is helpful to point out that patients with OSA experience obstructive episodes and desaturations continually in the privacy of their own bedroom. Blow-by oxygen is permitted. No paralytics should be administered until the time of endotracheal intubation. By definition, patients with OSA have potentially difficult airways. While it is rare to lose an airway by this method, one must always be prepared for the worst-case scenario. Propofol infusion - Start 100 μ g/kg/min and titrate to patient’s snoring and OSA. Try to avoid propofol boluses. Too much propofol will lead to a central apneic episode, making it difficult to distinguish between OSA and central apnea in the patient. This concern must be communicated with the anesthesiologist. The anesthesiologist should be at the head of the bed in preparation for planned or urgent endotracheal intubation. The bed should be level; a pillow can be provided for patient comfort. Bed belts should be used to secure the patient to the bed and prevent any misadventures. Assuming that the surgeon is right handed, place the AV tower across from him or her. The anesthesiologist should have a view of the monitor too. In my practice, I usually perform sleep endoscopy immediately before the proposed OSA surgery. Any planned nasal surgery is usually clear in the clinic, but the sleep endoscopy findings can definitely influence which oropharyngeal and/or hypopharyngeal procedure I perform on the patient. I discuss every possible scenario with my patient, and these visits can easily extend to 30 minutes for counseling purposes. Another alternative is to perform sleep endoscopy in the operating room and then perform the definitive surgery after the sleep endoscopy discussion in clinic. This is helpful when I do staged, multilevel surgery. I will perform DISE and nasal surgery and then bring the patient back for oropharyngeal/hypopharyngeal OSA surgery. In the interim, I will have discussed the specifics of the DISE with the patient and how I will apply this knowledge in the operating suite. Consider avoiding muscle relaxant medications such as benzodiazepines, as these can relax the airway too much and possibly give false positives. Croft and Pringle  used only midazolam for their DISE, and it was reliable for them. While midazolam does make the patient more at ease in the preoperative area, the propofol dose may be less, compared with a scenario in which the patient does not require midazolam preoperatively. The safest way to perform sleep endoscopy is with a team approach with your anesthesiologist, with DISE performed in a monitored setting. As described above, communication with your patient and the operative team is important. In order to get a reliable and valid exam, patience is needed. Allow the propofol infusion to work, and allow the patient to settle down into snoring and then an eventual obstruction. Once the AV tower and FFL are ready, signal the anesthesiologist to begin the propofol infusion. The anesthesiologist must carefully titrate the propofol infusion in order to cause obstructive apnea, but no central apnea. This can easily be observed. When the patient can no longer be aroused by voice, defog the FFL and introduce it into the nasal cavity. Fully examine the nasal cavity for any airway obstructions and then advance into the nasopharynx. Wait in the nasopharynx until the patient begins snoring. Advance the mandible 5-10 mm forward to reproduce the action of a genioglossal advancement or mandibular advancement device. Perform a jaw thrust maneuver or insert a nasal trumpet or oral airway to convince oneself or the anesthesiologist of the effectiveness of these simple procedures, which can establish an airway in an obstructing patient. If there is suspicion preoperatively of hypopharyngeal collapse, one can elect to dissect down to the hyoid bone. During direct visualization of the hypopharynx in DISE, the hyoid bone can be manipulated to simulate hyoid suspension or advancement. If there is improvement in the hypopharyngeal airway during manipulation, the appropriate procedure can be performed (hyoid suspension, myotomy, hyoid advancement, etc). VOTE is a proposed system of classification that may be used in order to help establish a universal way for otolaryngologists to classify and communicate objective findings of airway obstruction in OSA patients. Based on multiple DISE interventions, four common locations of obstruction were established. These locations can either contribute to OSA individually or in combination. The levels are velum, oropharynx, tongue base, and epiglottis (VOTE). A grade of 0-2 is assigned based on degree of obstruction: 0 = no obstruction; 1 = partial obstruction; 2 = total obstruction. [22, 23] It is also helpful to describe the type of collapse: lateral, anterior-posterior, or concentric. Both grading schemes provide a reliable and reproducible method of evaluating the upper airway during sleep endoscopy. Aktas O, Erdur O, Cirik AA, Kayhan FT. The role of drug-induced sleep endoscopy in surgical planning for obstructive sleep apnea syndrome. Eur Arch Otorhinolaryngol. 2014 Jun 28. [Medline]. De Vito A, Carrasco Llatas M, Vanni A, Bosi M, Braghiroli A, Campanini A, et al. European position paper on drug-induced sedation endoscopy (DISE). Sleep Breath. 2014 May 26. [Medline]. Croft CB, Pringle M. Sleep nasendoscopy: a technique of assessment in snoring and obstructive sleep apnoea. Clin Otolaryngol Allied Sci. 1991 Oct. 16(5):504-9. [Medline]. Pringle MB, Croft CB. A grading system for patients with obstructive sleep apnoea--based on sleep nasendoscopy. Clin Otolaryngol Allied Sci. 1993 Dec. 18(6):480-4. [Medline]. Hewitt RJ, Dasgupta A, Singh A, Dutta C, Kotecha BT. Is sleep nasendoscopy a valuable adjunct to clinical examination in the evaluation of upper airway obstruction?. Eur Arch Otorhinolaryngol. 2009 May. 266(5):691-7. [Medline]. Chisholm E, Kotecha B. Oropharyngeal surgery for obstructive sleep apnoea in CPAP failures. Eur Arch Otorhinolaryngol. 2007 Jan. 264(1):51-5. [Medline]. Atkins JH, Mandel JE, Rosanova G. Safety and Efficacy of Drug-Induced Sleep Endoscopy Using a Probability Ramp Propofol Infusion System in Patients with Severe Obstructive Sleep Apnea. Anesth Analg. 2014 Jul 25. [Medline]. Kezirian EJ, White DP, Malhotra A, Ma W, McCulloch CE, Goldberg AN. Interrater reliability of drug-induced sleep endoscopy. Arch Otolaryngol Head Neck Surg. 2010 Apr. 136(4):393-7. [Medline]. Pang KP, Woodson BT. Expansion sphincter pharyngoplasty: a new technique for the treatment of obstructive sleep apnea. Otolaryngol Head Neck Surg. 2007 Jul. 137(1):110-4. [Medline]. Neruntarat C. Uvulopalatal flap for obstructive sleep apnea: short-term and long-term results. Laryngoscope. 2011 Mar. 121(3):683-7. [Medline]. Pang KP, Tan R, Puraviappan P, Terris DJ. Anterior palatoplasty for the treatment of OSA: three-year results. Otolaryngol Head Neck Surg. 2009 Aug. 141(2):253-6. [Medline]. Yi HL, Yin SK, Zhang YJ, et al. Z-palatopharyngoplasty for obstructive sleep apnea/hypopnea syndrome. Otolaryngol Head Neck Surg. 2009 May. 140(5):640-5. [Medline]. Rodriguez-Bruno K, Goldberg AN, McCulloch CE, Kezirian EJ. Test-retest reliability of drug-induced sleep endoscopy. Otolaryngol Head Neck Surg. 2009 May. 140(5):646-51. [Medline]. [Full Text]. Kotecha BT, Hannan SA, Khalil HM, Georgalas C, Bailey P. Sleep nasendoscopy: a 10-year retrospective audit study. Eur Arch Otorhinolaryngol. 2007 Nov. 264(11):1361-7. [Medline]. Jones TM, Ho MS, Earis JE, Swift AC, Charters P. Acoustic parameters of snoring sound to compare natural snores with snores during 'steady-state' propofol sedation. Clin Otolaryngol. 2006 Feb. 31(1):46-52. [Medline]. Agrawal S, Stone P, McGuinness K, Morris J, Camilleri AE. Sound frequency analysis and the site of snoring in natural and induced sleep. Clin Otolaryngol Allied Sci. 2002 Jun. 27(3):162-6. [Medline]. Berry S, Roblin G, Williams A, Watkins A, Whittet HB. Validity of sleep nasendoscopy in the investigation of sleep related breathing disorders. 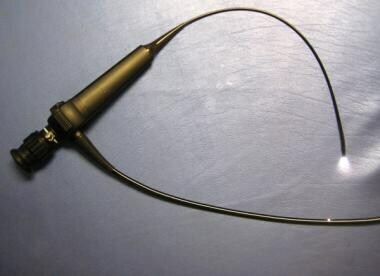 Laryngoscope. 2005 Mar. 115(3):538-40. [Medline]. Rabelo FA, Braga A, Kupper DS, Fernandes RM, Valera FC. Propofol-induced sleep: polysomnographic evaluation of patients with obstructive sleep apnea and controls. Otolaryngol Head Neck Surg. 2010 Feb. 142(2):218-24. [Medline]. Sadaoka T, Kakitsuba N, Fujiwara Y, Kanai R, Takahashi H. The value of sleep nasendoscopy in the evaluation of patients with suspected sleep-related breathing disorders. Clin Otolaryngol Allied Sci. 1996 Dec. 21(6):485-9. [Medline]. Siddiqui F, Walters AS, Goldstein D, Lahey M, Desai H. Half of patients with obstructive sleep apnea have a higher NREM AHI than REM AHI. Sleep Med. 2006 Apr. 7(3):281-5. [Medline]. Steinhart H, Kuhn-Lohmann J, Gewalt K, Constantinidis J, Mertzlufft F, Iro H. Upper airway collapsibility in habitual snorers and sleep apneics: evaluation with drug-induced sleep endoscopy. Acta Otolaryngol. 2000 Oct. 120(8):990-4. [Medline]. Cavaliere M, Russo F, Iemma M. Awake versus drug-induced sleep endoscopy: evaluation of airway obstruction in obstructive sleep apnea/hypopnoea syndrome. Laryngoscope. 2013 Sep. 123(9):2315-8. [Medline]. Kezirian EJ, Hohenhorst W, de Vries N. Drug-induced sleep endoscopy: the VOTE classification. Eur Arch Otorhinolaryngol. 2011 Aug. 268(8):1233-6. [Medline]. Chan DK, Liming BJ, Horn DL, Parikh SR. A New Scoring System for Upper Airway Pediatric Sleep Endoscopy. JAMA Otolaryngol Head Neck Surg. 2014 May 8. [Medline]. Medscape Reference thanks Philip E Zapanta, MD, Assistant Professor of Surgery, Associate Director of Otolaryngology Residency Program, Division of Otolaryngology-Head and Neck Surgery, George Washington University Medical Center; Consulting Staff, Division of Otolaryngology-Head and Neck Surgery, Medical Faculty Associates, for the video in this article.